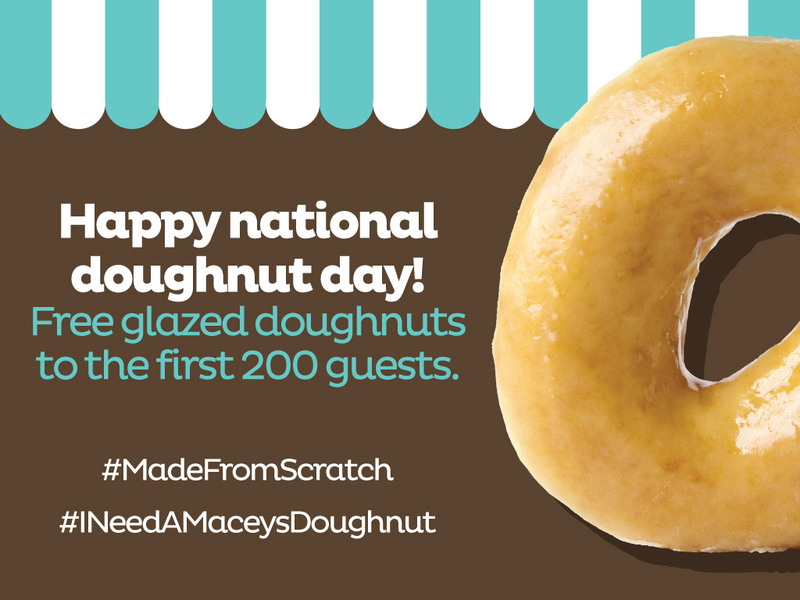 We’re celebrating national doughnut day Friday, June 3rd at Macey’s with free glazed doughnuts to the first 200 guests, while supplies last! Don’t miss this opportunity to get a delicious scratch doughnut on the house! 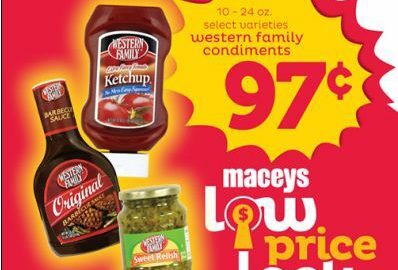 At Macey’s, when you say barbecue, we don’t mean sauces, glazes or rubs; although we have plenty of those as well and at great prices. We believe great barbecue starts and ends with hardwood smoke and the finest meats. It’s a time-honored tradition that requires both skill and patience. Ribs smoked “low and slow” and tender flavorful chicken demand hours of planning and preparation. That is exactly what goes in to each and every event featuring our exclusive BBQ Box smoker. It gives you the best slowly smoked, mouthwatering meats without all the work. 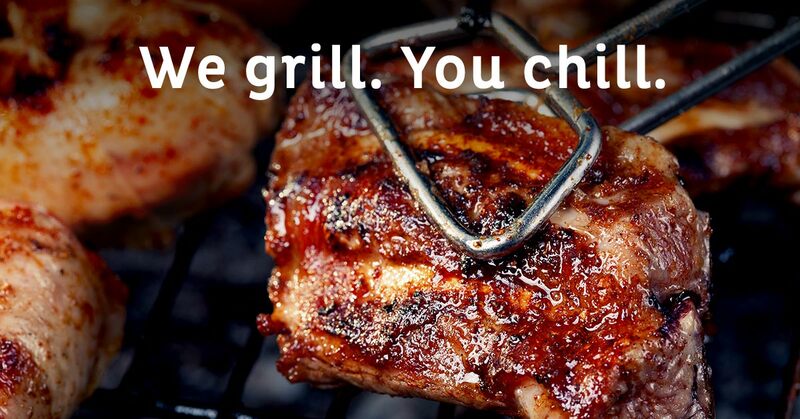 We grill and you just chill. Still trying to find Dory? Look no further! 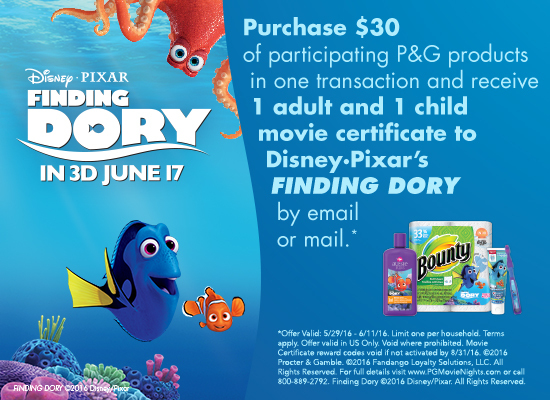 You can receive free movie tickets to see Finding Dory with your other fish in the sea when you purchase $30 worth of participating P&G products (Finding Dory Bounty Basic Towels, Bounty Basic Napkins, or Charmin Basic)! Must be purchased at the Davis Vernal location only. Swim through for more details. Check our Facebook page for Finding Dory movie ticket giveaways! Click here for terms and conditions. Children ages 12 and under are welcome to enter our Under the Sea coloring contest! Return your finished coloring sheet to your participating social retailer by June 11 and enter to win a fun Finding Dory prize pack! Download your Finding Dory Coloring Sheet and get started! 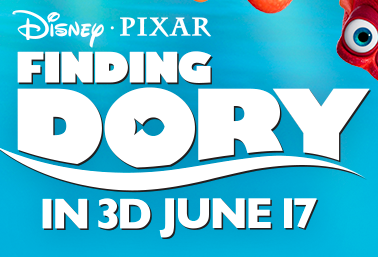 You can receive free movie tickets to see Finding Dory with your other fish in the sea when you purchase $30 worth of participating P&G products (Finding Dory Bounty Basic Towels, Bounty Basic Napkins, or Charmin Basic)! Swim through for more details. Do You Know Your Doughnut? 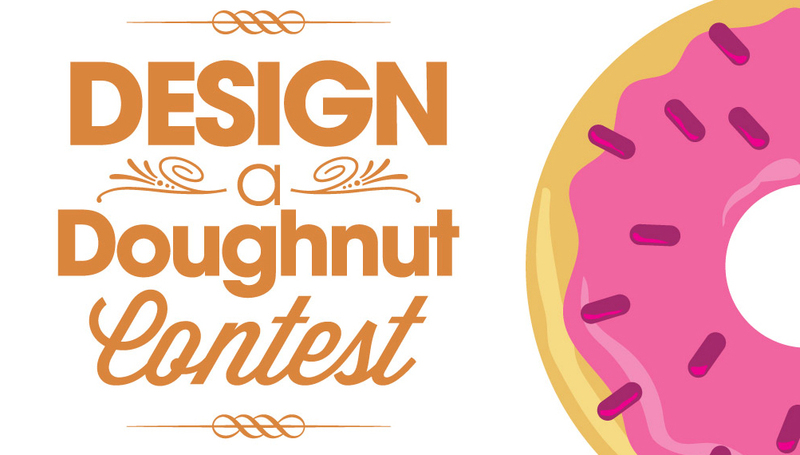 June 3rd is National Doughnut Day and we’re celebrating with a little doughnut trivia. 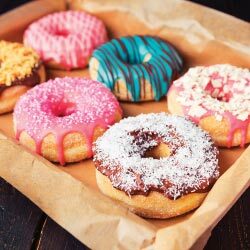 Here are five facts about doughnuts we bet you didn’t know! Doughnuts originated in Holland and were first called olykoeks which means oily cakes. More than a BILLION doughnuts are made in the United States every year. 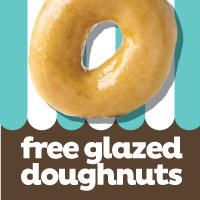 Krispy Kreme sells 7.5 million doughnuts per day! The first Doughnut Day was in 1938 as a fundraiser for the Salvation Army. The largest doughnut ever made was an American-style jelly doughnut weighing 1.7 tons and was 16 feet in diameter. Everybody loves a classic s’more, especially when roasting it with family and friends around a fire. 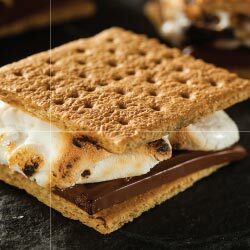 S’mores are perfect for camping, the beach, the backyard and can even be made over the stove or in the microwave in a pinch. Graham cracker, chocolate, and marshmallow is the perfect combo, but have you ever tried mixing it up? Here are five gourmet s’more combos that will have your mouth watering. So grab your roasting stick, your goodies, and your pals and get roasting! Cookies & Cream: Oreo cookies, marshmallow, cookies & cream candy bar. The 30 day food storage pail is 30 days of delicious easy-to-prepare emergency food for 1 person, or a family of 4 for one week, plus a self-filtering water bottle, quick-light fuel source, and meal planner. This convenient disaster preparedness kit is packed in an easily transportable, watertight, 7-gallon pail. 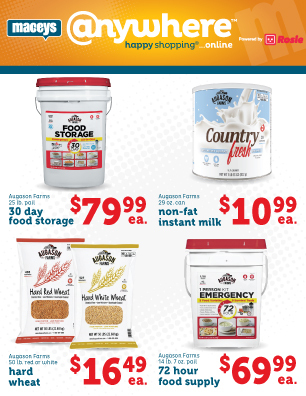 $79.99 for the food storage pail is a great deal. 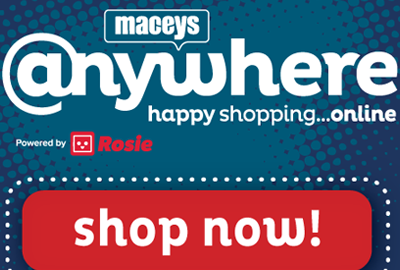 The regular retail is $119, so that’s a savings of over $39 just for ordering with Macey’s Anywhere . This item is while supplies last, so be sure to order now. At Macey’s we know that saving is important. What family doesn’t want to stretch their budget a little further? 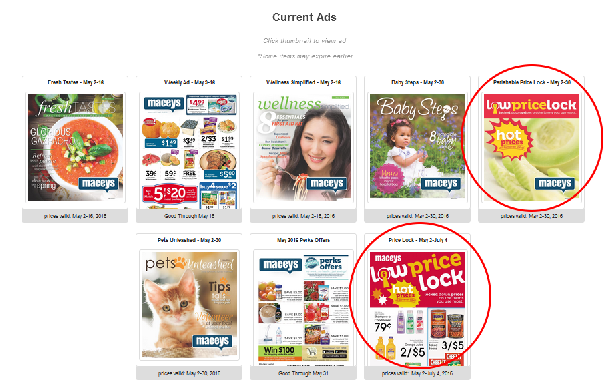 To help you do just that, we’ve created Price Lock. Items are selected each season and locked in at a low price for eight weeks. These items are selected based on the items you would buy most during that season. Prices are changed out for winter, spring, summer, fall and holiday. 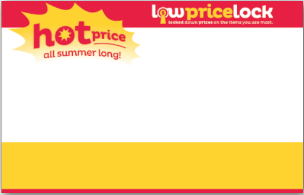 All Price Lock items are specially marked with these signs. Grilled food is a summer staple. There’s something about hanging out in the backyard on warm nights while delicious food cooks on the grill. When we think of grilled food our minds usually go right to burgers or chicken. Both are delicious, but the grill can do so much more. Here are five unique foods to try grilling. So get your grill on, they won’t disappoint. This delicious summer fruit tastes even better when brushed with a little brown sugar and cinnamon, then lightly grilled. 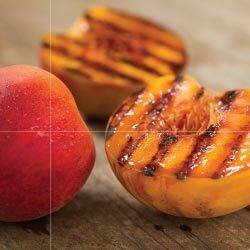 The flavor of the peach is enhanced by grilling. Add some ice cream on top and you have the perfect summer dessert. Grilled Caesar Salad. Yes you read that right. Next time you are grilling chicken for a Caesar salad, try grilling your romaine lettuce leaves just enough to char the edges. The smoky flavor goes great with a salad. Brussel Sprouts. You’ll never eat boiled Brussel sprouts again once you have them grilled. Brush with olive oil and throw them on a kebab stick or directly on the grill. Your taste buds will thank you. If you love pineapple already, wait until you try it grilled. Brush with a little melted butter, brown sugar and cinnamon and prepare to be amazed. When you grill pineapple it brings out all of the amazing flavors and gets even juicer. Need an awesome summer appetizer? Try throwing edamame on the grill. Cook first according to directions and then toss on the grill for a few minutes to get that delicious grill flavor. Make sure to top with a little olive oil and sea salt. Next time you fire up the grill get creative! Start with one of our five suggestions and go from there. Once you start grilling, you’ll never want to stop.